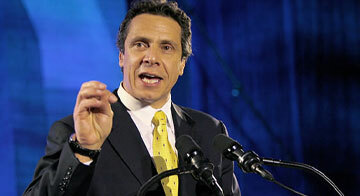 New York Governor Andrew Cuomo is weighing a renewed commitment to public higher education. A new bill asks the state to step up its funding, and nearly a million students could stand to benefit if it passed. Check out this Newsday article. Governor Cuomo is set to review a bill that would increase state funding to public colleges in the state. Previously, Cuomo has merely agreed to maintain the state's current financial commitment to its public colleges. The new bill would require the government to more aggressively match the rising tuition in the state university systems. The proposed government influxes would cover "inflationary and mandated costs" throughout the State University of New York and City University of New York systems - together one of the largest public university systems in the world - including program and equipment costs at the three system teaching hospitals. With Cuomo's signature, a renewed commitment to public higher education in New York State could prove to be a game-changer for public college funding nationwide. What do you think of the public college funding bill? We would love to hear your comments below.